Beautiful card! 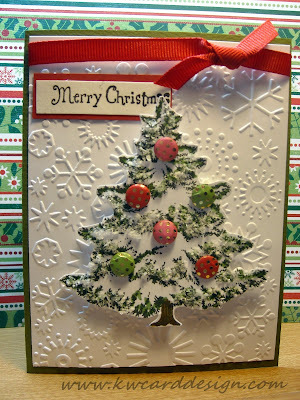 Loving the fun blingy tree ornaments...the embossed background is a lovely feature too. 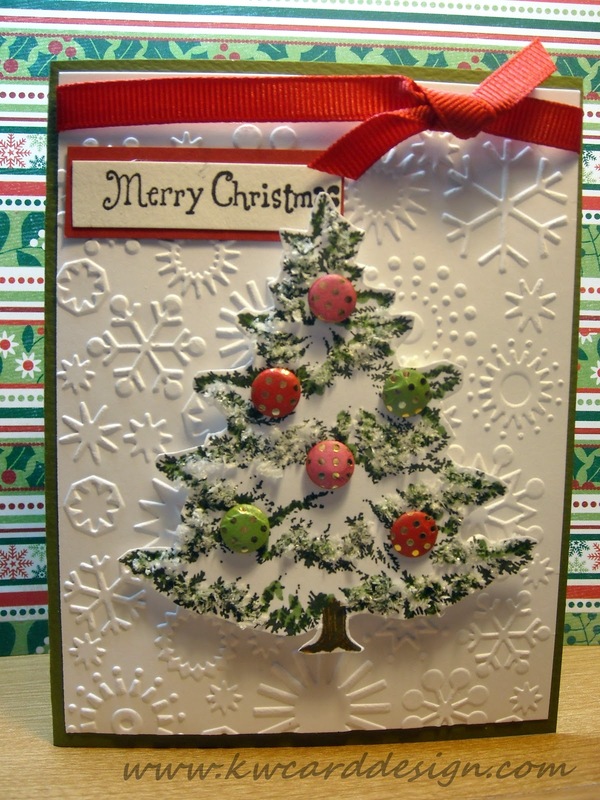 Thanks for joining us at Lily Pad Cards.